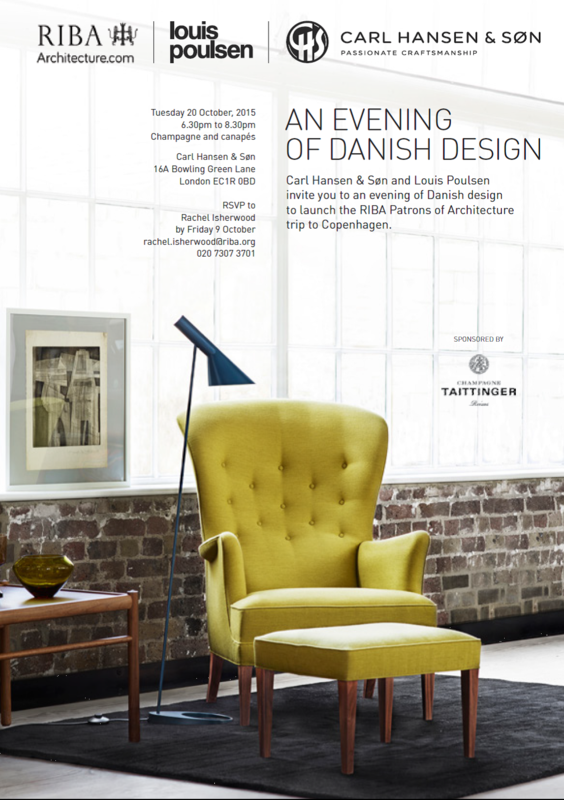 The RIBA Patrons are launching their inaugural international trip to Copenhagen with an evening of Danish Design with Carl Hansen & Son and Louis Poulsen on October 20th in London. Places are very limited for this trip which will be taking place from May 18th – 21st 2016. Please register your interest with Rachel Isherwood at Rachel.Isherwood@riba.org or +44 207 307 3701. September 22, 2015 in Events.